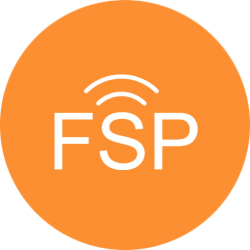 We support a wide range of types of fantasy leagues including traditional H2H points and category based leagues. Chances are, we will support your league unless it is very highly customized. Normally we will automatically figure out your league scoring settings during the initial sync process. This includes scoring categories (if required), type of league (h2h points, roto), lineup slots, and more. 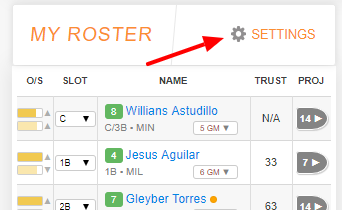 If for any reason our scoring settings are not correct or you just want to take a peak at scoring settings we offer then head to the fantasy assistant under My Roster and click on Settings. 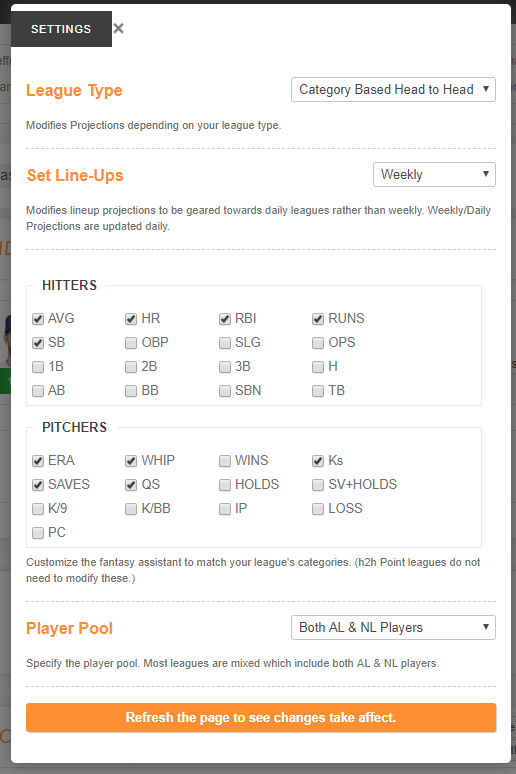 Each league will have unique options to choose from, but the following example is from a fantasy baseball league.